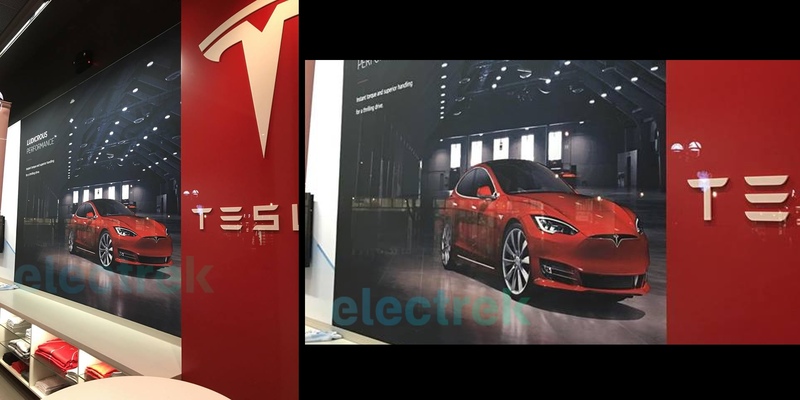 We first reported on an expected Tesla Model S facelift at the end of last year and even though Tesla denied working on a design refresh at the time, it became increasingly clear that it was in the works. We have since then received information from sources on exactly what that would look like, as well as new features to be introduced with the updated sedan. 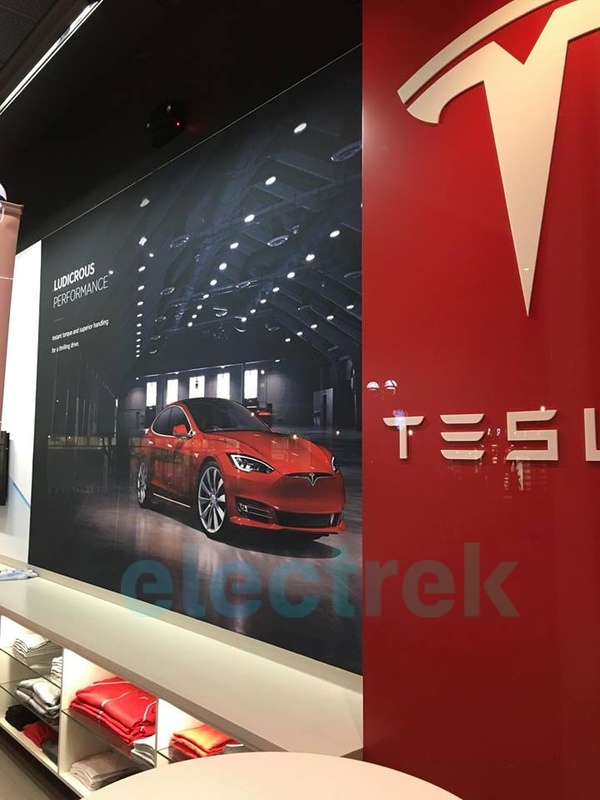 Today Tesla is expected to make it official and to release the new design and specs, but we already received a picture from a reader as Tesla is currently updating the Model S advertising at its retail locations. The flagship sedan now shares more features with its younger and bigger brother, the Model X. The angle of the picture makes it look disproportionate, but we should have more pictures and information to share with you in the next few hours. Stay tuned. Last week we shared a spy shot of a Model S with protective tape on the front-end. It looks like it could have been the new front-end seen above, but it is unconfirmed. The picture was taken at Tesla’s Fremont factory.